If you're wondering whether antidepressants will cure you in the same way that an antibiotic cures an infection, the answer is no; they do not eradicate the underlying causes of depression. The reason that antidepressants aren't able to provide a permanent cure for depression lies in how they work. 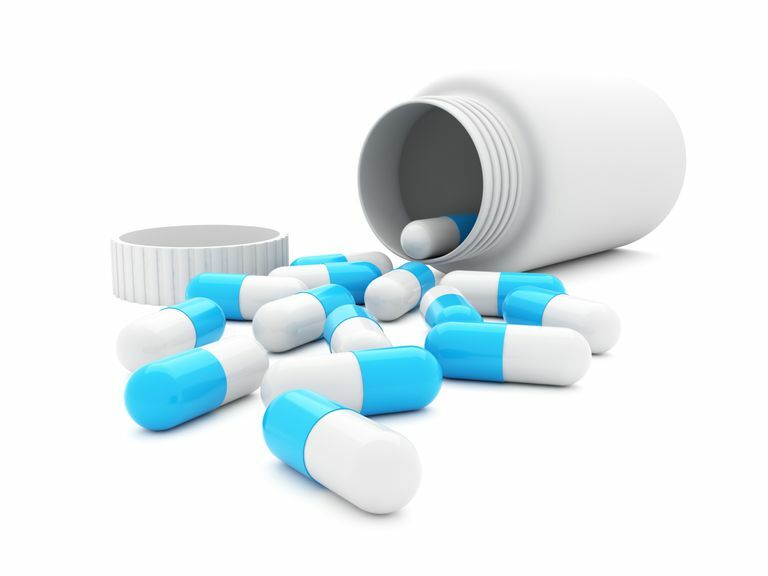 Antidepressants target one or more of the neurotransmitters which are believed to be involved in regulating mood, allowing a greater quantity of these neurotransmitters to remain available for use within the brain and theoretically making up for any deficiencies which might be causing a person's depression symptoms. This effect is only temporary, however. When you stop taking the antidepressant, your brain chemistry will return to its previous state. However, If what you really want to know is whether they are capable of providing long-term relief from the symptoms of depression, then the answer is yes. Antidepressants do appear to be able to provide lasting benefits to those who take them. In a 2011 Journal of Psychiatric Research article, it was reported that depressed adults who used antidepressants were three times less likely than their unmedicated counterparts to still be depressed after eight years. Unfortunately, when people start to feel better, they often take this as a sign that they have been cured and they stop taking their medication, which can be a very bad idea. Not only are they at risk of having their depression return, or even become worse, they are also at risk for developing symptoms such as muscle aches, fatigue, and nausea (discontinuation syndrome). Give your medication enough time to work before you give up on it. Generally, it takes anywhere from two to eight weeks for an antidepressant to exert its full effects. Take your antidepressant exactly as your doctor has prescribed. Not taking your full dose or skipping doses can create problems and the medication won't work as well as it could. Don't stop your medication without consulting your doctor. Your doctor will be able to advise you about whether it's a good idea to stop taking your medication. He can also help address any problems that you might be having with it, such as unpleasant side effects. Finally, he will be able to help you avoid any potential problems, such as discontinuation syndrome or worsening depression. Don't give up if the first medication that you try doesn't help. Different antidepressants work in slightly different ways and you may need to try a few different medications in order to get the right one for you. Don't stop taking your antidepressant when you start feeling better. Quitting too soon could lead to a return of your depression. Your doctor will help you determine when, and if, quitting your antidepressant is advisable. So, does this all mean that you must take an antidepressant for the rest of your life? Not necessarily, say experts. Perhaps the most important factor in determining whether you will need to take an antidepressant indefinitely is your risk for a depression relapse. If this is your first depression episode, then your doctor may recommend that you stay on your medication for six months to a year and then gradually taper off of it. If you've had two episodes of depression, a familial history of depression or a particularly ​severe depressive episode, your doctor will probably be more likely to recommend that you remain on your antidepressant long-term. If you've had three or more depressive episodes, it is almost certain that your doctor will want you to remain on an antidepressant for the rest of your life due to your having about a 90 percent chance of relapse. Colman, Ian, Yiye Zeng, Anushka Ataulahjan, Ambikaipakan Senthilselvan and Scott B. Patten. "The association between antidepressant use and depression eight years later: A national cohort study. "Journal of Psychiatric Research.45.8 (August 2011):1012-1018. Conaway, Brenda. "How Long Should You Take Antidepressants?" WebMD. WebMD, LLC. Last reviewed: By Brunilda Nazario, MD on July 6, 2010. Wick, Jeanette Y. "Efficacy and Effectiveness of Antidepressants. "Pharmacy Times.Intellisphere, LLC.Published:March 18, 2011.